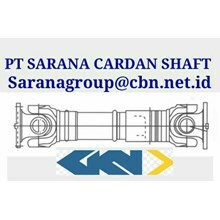 The universal or cardan shaft is one of the most efficient drive concepts for machinery, such as in agricultural and commercial vehicles. 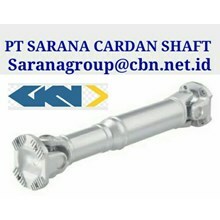 GKN Land Systems offers the appropriate universal shaft for a wide range of uses. 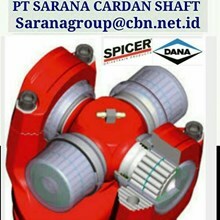 Adapted to the respective application, a universal shaft can transmit very high torque, realise rotational speeds and flexibly adapt the distance and angle between input and output side. The development and production of high-quality PTO drive shafts for use in agriculture is part of the core competence of GKN Walterscheid. GKN Rockford Mechanics® application-matched drivelines are rugged assemblies that withstand the requirements of today's more powerful engines and transmissions. The combination of experience, in process industries ranging from food production to steel and paper mills, in delivering power from stationary engines, electric motors and turbines, and meeting the demands of the rail industry, has enabled GKN to become No. 1 in European service. 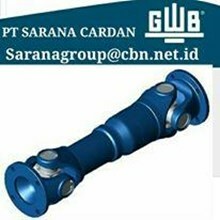 Hubungi kami sekarang juga untuk mendapatkan penawaran bearing terbaik hari ini juga. 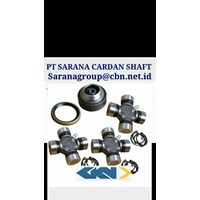 Pastikan Anda mendapatkan produk bearing yang berkualitas dari kami. Terima kasih! 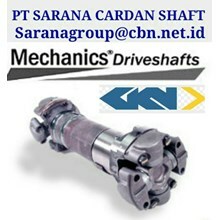 GKN DRIVE CARDAN SHAFTS PT SARANA GARDAN - GKN JOINT SHAFT CROSS JOINT FLANGE YOKE GKNTUBE YOKE PT SARANA JOINT ! IndoTrading.com adalah media iklan khusus Perusahaan, Toko, Distributor, Grosir, Agen, Supplier, Importir, Exportir, Trading dan Pabrik. Jika Anda tertarik untuk membeli GKN DRIVE CARDAN SHAFTS PT SARANA GARDAN - GKN JOINT SHAFT CROSS JOINT FLANGE YOKE GKNTUBE YOKE PT SARANA JOINT ini dengan harga murah, Mohon hubungi Kontak Perusahaan ini diatas.